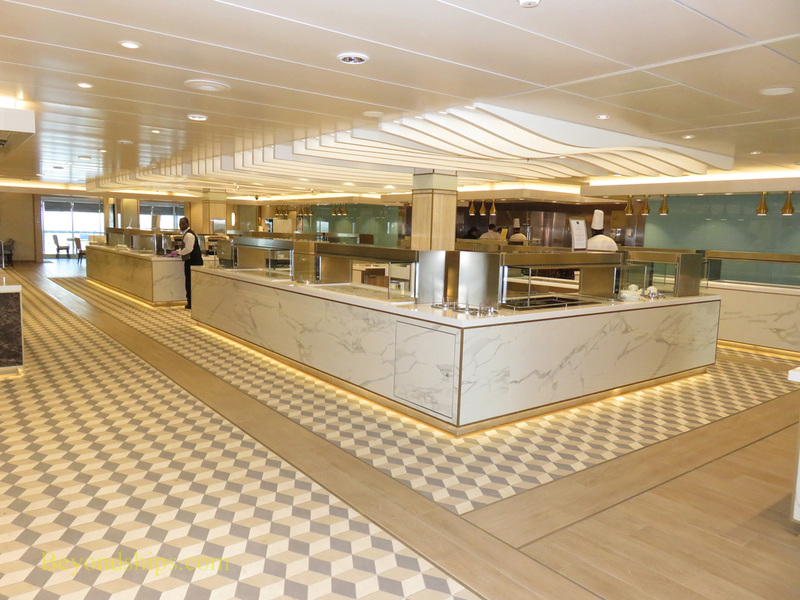 Queen Mary 2 also has several venues for enjoying a snack or a more informal meal. 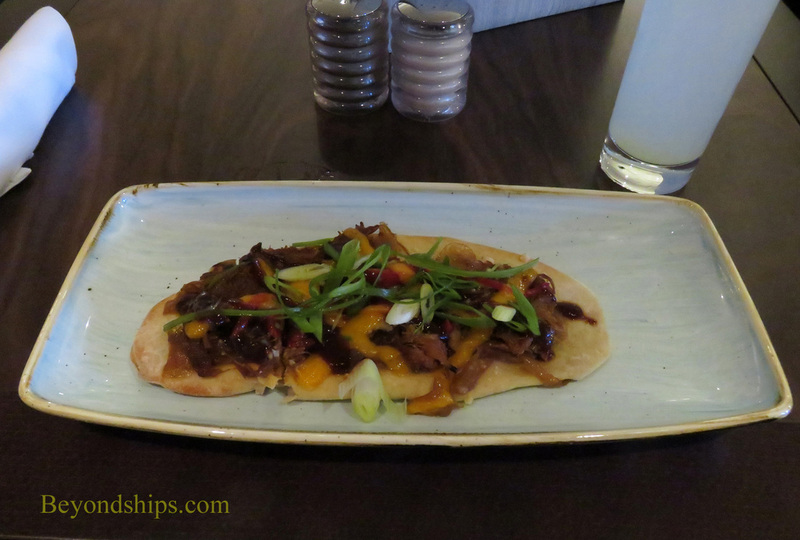 The food at all of the venues on this page is complimentary. 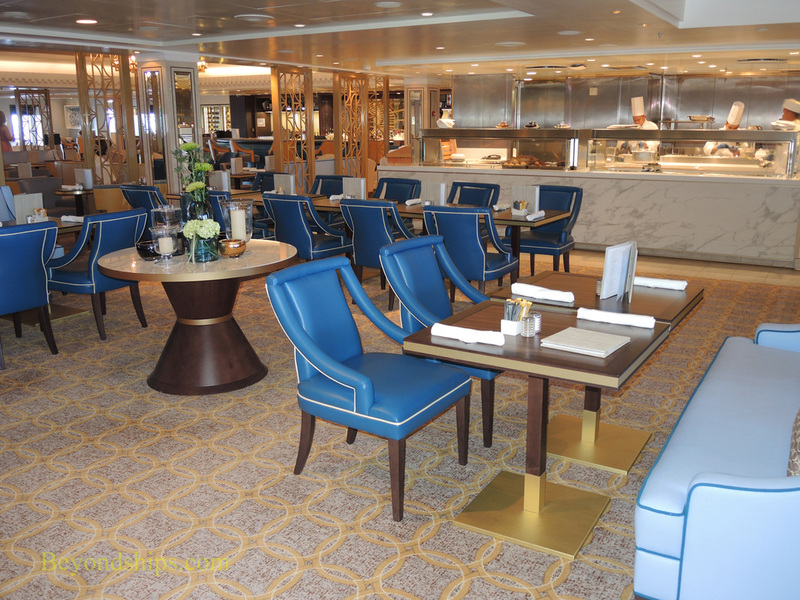 The King's Court was given an extensive makeover during the ship's 2016 refit. 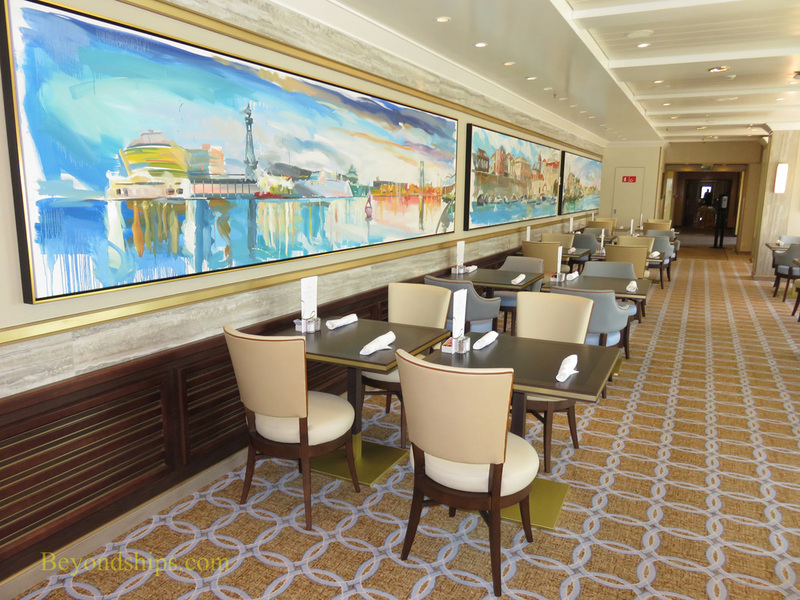 As a result, this self-serve buffet restaurant now has more space. 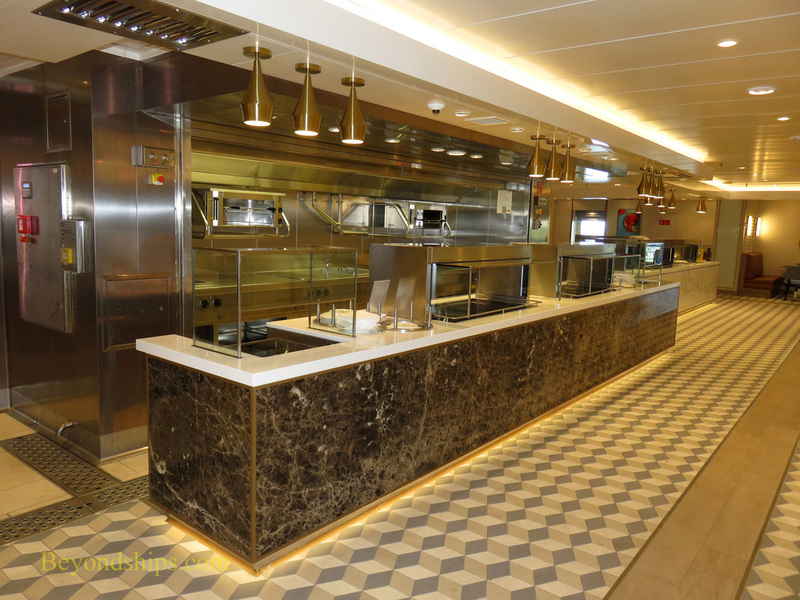 In addition, the stations are arranged in a more practical way than they were when the ship entered service. Much of the seating in the King's Court is by the windows. 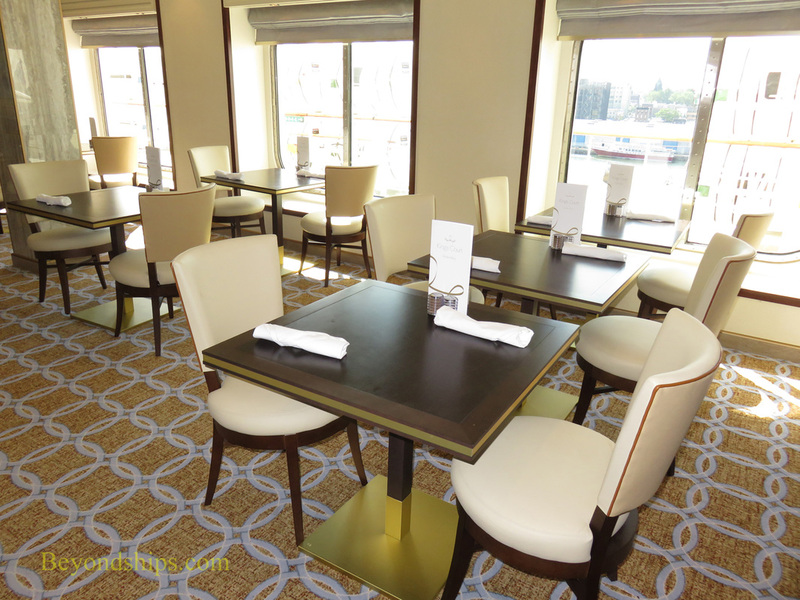 However, because this restaurant is on the same deck as the outdoor promenade, the seating does not extend out to the edge of the ship as on many cruise ships. 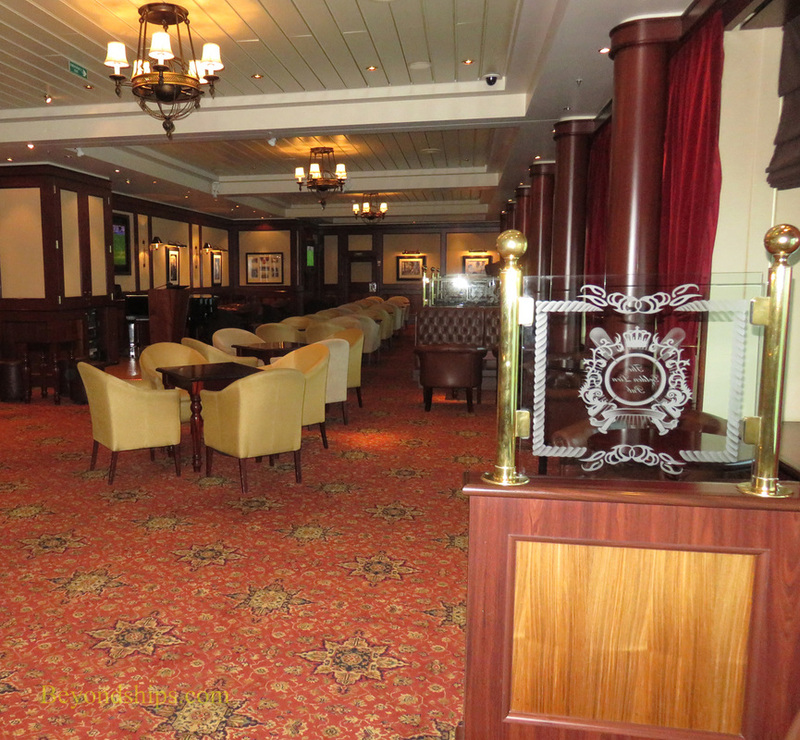 Next to the King's Court is the Carinthia Lounge, which includes a dining venue as well as a bar. 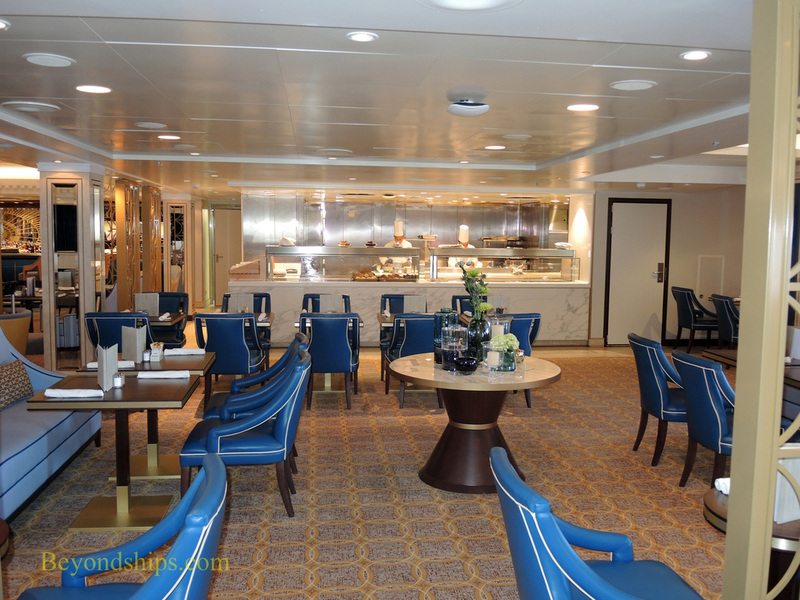 The buffet here is different than the main buffet restaurant, offering a variety of interesting items not available in the King's Court. 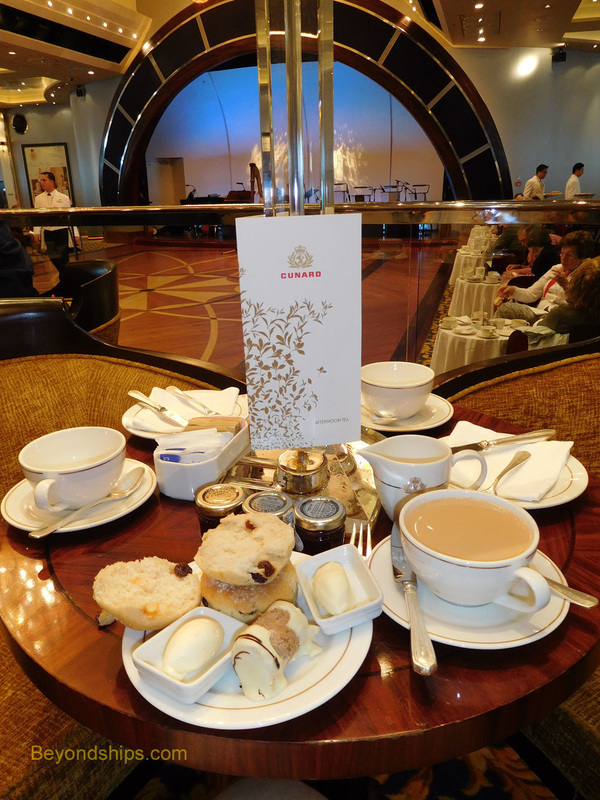 In the British tradition, afternoon tea is a feature on QM2. In the Queens Room ballroom, white gloved waiters serve out finger sandwiches, scones and pastries while a string quartet or a harp plays. (See separate article). 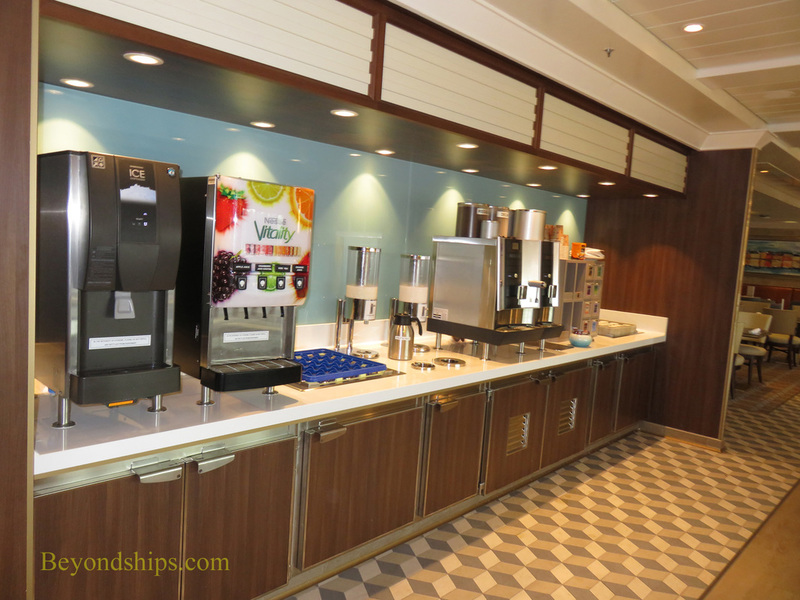 Tea is also served in the King’s Court on a more informal, self-serve basis. 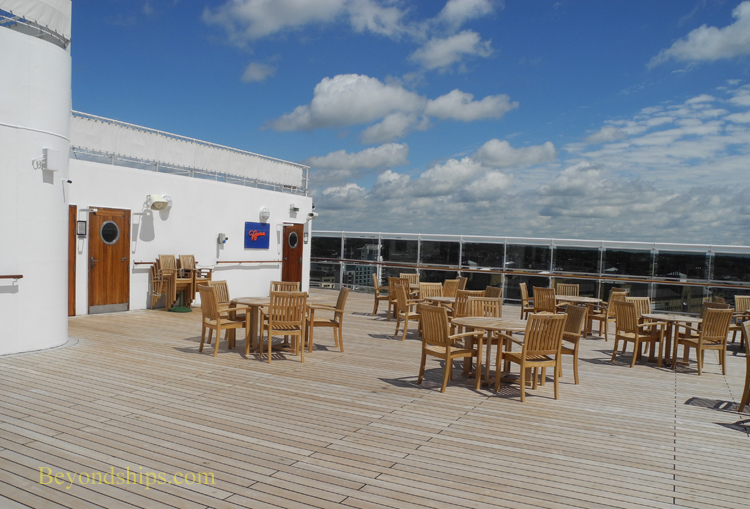 On sunny days, waiters wheel carts around the open decks serving those snuggled in the deck chairs. 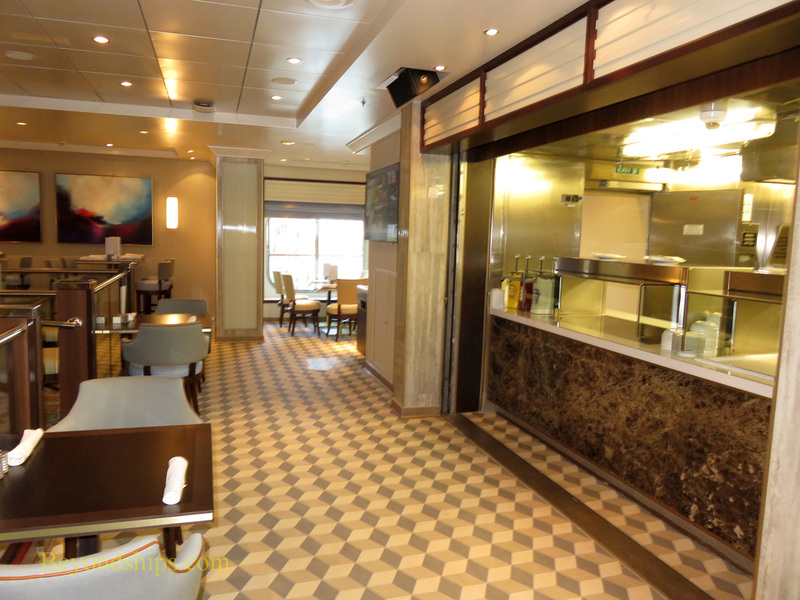 Weather-permitting, hamburgers and other light snacks are available for al fresco dining at the Boardwalk Cafe on Deck 12. ​The Golden Lion Pub is a lunchtime alternative, offering fish and chips and other pub favorites.